Today is the absolutely the last day we can accept entries for The 9th American Business Awards, and next Wednesday is the entry deadline for The 8th International Business Awards, but it's almost time to start thinking about this year's Stevie Awards for Women in Business, which will open for entries within a month. Mary Reilly-Magee, Owner and Founder of Love to Swim and Tumble School in San Antonio, Texas USA, was named Best Entrepreneur in a Service Business (Up to 100 Employees) in the 2010 Stevies for Women in Business. Mary Reilly-Magee is the embodiment of the two talents that make a top entrepreneur: Determination and Passion. She is an extremely determined businesswoman, and she is passionate about the prevention of drowning. She is also passionate about lifelong learning and about building relationships. Mary taught swimming while earning her bachelor’s degree in English from the University of Texas at San Antonio. She taught English and coached the swimming and water polo teams at Holmes High School for 5 years while directing the summer night lesson program at Northside Aquatics. In 1998 she resigned from high school teaching to focus on her young family. Mary began coaching at local area pools and fitness centers, but was frustrated by having to deal with facility issues and scheduling conflicts. She wanted to provide a more stable environment that would better facilitate teaching children and adults how to swim. Inspired by her vision and dedication, Mary’s friends and family decided to pitch in and lend her the start-up money she needed to build her own facility. Love to Swim School, founded in 2001, was the direct result of this combination of determination and passion. It quickly became successful and profitable. After paying back her family and friends, Mary decided she wanted to do more to develop children’s fitness, so she incorporated a tumble facility into her swim school. Mary firmly believes that children that roll on mats, jump on trampolines, and balance on beams develop neurological connections that give them an academic edge over non-active children. Characteristics introduced in the gym such as risk-taking, focusing, following directions, and having an “I can” attitude lead to similar behaviors in the classroom. By 2008, the renamed Love to Swim and Tumble School’s sales had grown exponentially, allowing Mary to expand her reach and open a second location in 2009. 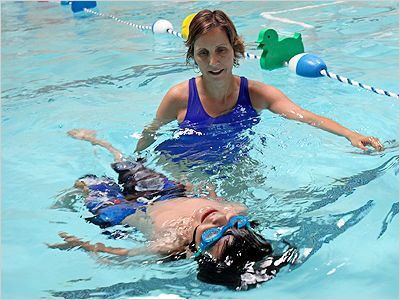 Mary’s swim schools had taught over 37,000 swim lessons by 2010. Currently, Mary is planning to open additional locations to provide more children with the opportunity to learn. With its two unique indoor facilities, Love to Swim and Tumble School is able to offer swim and tumble lessons year-round. Mary has developed a progressive approach for teaching, and the coaches on her staff are required to undergo extensive ongoing training. With her child-centered teaching philosophy, parental involvement, and highly trained staff, Mary’s facilities have a well-earned reputation for excellence. A certified Texas educator, Mary has established herself as an expert in her industry and has written numerous articles for various publications. She constantly seeks to engage and involve parents in their children's learning through newsletters and by offering informational sessions while their kids swim. Mary speaks at various parenting groups and industry tradeshows, and she provides free drowning-prevention demonstrations to students in local elementary schools. She has been a presenter at the American Swimming Coaches Association SwimAmerica™ National Conference and at the U.S. Swim School Association Annual Spring Conference. She currently serves as the Vice President and President-Elect of the U.S. Swim School Association, a national organization of professional aquatic directors. Mary Reilly-Magee, an athlete, passionate instructor, savvy businesswoman, and mom, has spent the last 25 years of her life teaching students of all ages to swim. She is the founder of the San Antonio-based Love to Swim and Tumble School, and the current president-elect of the U.S. Swim School Association. Mary has presented at numerous national and local conferences as well as to “Mothers of Preschoolers” and parent-teacher organizations. Love to Swim and Tumble School’s mission is to develop lifelong swimmers who are confident and masterful. Founded in 2001 by Mary Reilly-Magee, Love to Swim and Tumble School has locations in San Antonio and Schertz that provide swim lessons and tumble lessons. Students range in age from six months to adult, and in skill level from beginner to advanced. For more information, go to www.love-to-swim.com.